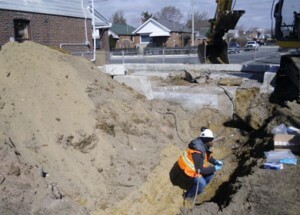 Tri-Phase was retained to complete decommissioning, demolition and remediation services for four electrical substations at various locations in the GTA. Our scope of work involved the decommissioning of all transformers, switchgears and other equipment as well as demolition and removal of all buildings including the foundations and floor slabs. 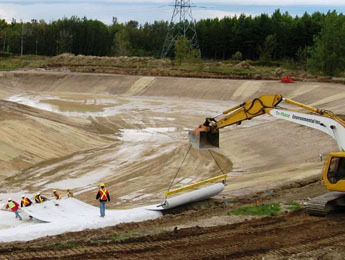 The work also included the removal and disposal of approximately 8,000 tons of hydrocarbon and heavy metal contaminated soil. Tri-Phase also decommissioned monitoring wells that existed at the sites then restored all sites by backfilling with clean fill material, compacting and placing topsoil and sod on the impacted areas. 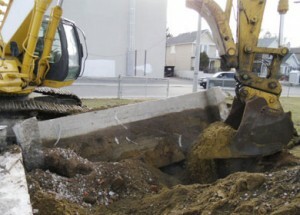 Due to the sensitive nature of the work, special care had to be taken while working around high voltage buried cables. In addition, all work was completed in residential areas and in extremely tight situations, which required Tri-Phase to carefully plan all work in order to meet the budget and timeline for completion.